What is Slim Tone Plus? Slim Tone Plus is a weight loss program consisting of patches and a natural, oral supplement. The official website promises fast and considerable weight loss in a matter of weeks. A month’s supply of pills cost £37.50 and the patches also cost £37.50, however, the official website will only allow you to purchase the two as a bundle for £75 via their “free trial” option. Is Slim Tone Plus Effective? There is so much negative feedback online relating to the dubious sales methods used by Slim Tone Plus, that the effectiveness of the product is quite hard to establish. The official website fails to substantiate the bold claims of the product, it says Slim Tone Plus is ‘scientifically validated and clinically proven to burn fat,’ but no further evidence of this is provided. Slim Tone Plus consists of two products, the patches, and the pills. There is only the most minimal amount of information about the patches, just that they target weight loss when applied to the skin. There are no details about the ingredients or how they work and worryingly a few independent reviews suggest they are dangerous and can cause severe irritation and in one case infected wounds. This suggests the patches are ineffective, especially as the official website doesn’t even explain what they consist of, even though they make up half of the £75 purchase price. Regarding the diet pills, the official website is full of hyperbole, describing them as ‘extreme diet pills,’ which will give you a ‘tight body,’ and make your ‘celebrity body within reach.’ All bold claims, but backed up with very little evidence. There is a list of key ingredients in the pills, although these are all listed without actual quantities, so we are unable to assess whether they are in ratios significant enough to be effective. In defense of Slim Tone Plus, the ingredients in the pills are all known for their weight loss properties, and if we knew they were in the right doses, the pills could potentially be an effective diet aid. 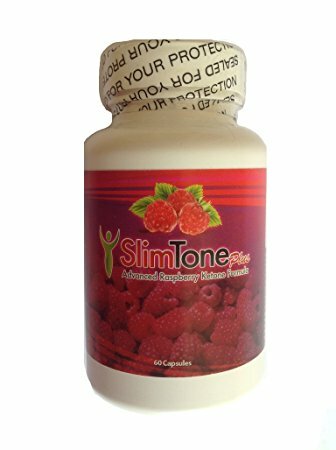 The main ingredient is raspberry ketone, an enzyme from raspberries which stimulates the production of the fat-burning hormone norepinephrine. This is known to break down fatty deposits, especially in hard to reach areas such as the abdomen, buttocks and the fat around our vital organs, known as visceral fat which is linked to chronic disease. Norepinephrine is also a vasodilator, which improves blood circulation allowing for improved bodily processes and enhancing the effects of the other ingredients. The Slim Tone Plus diet pill also contains other fat burning ingredients such as guarana extract, green tea, citrus aurantium which increase metabolism and energy levels allowing the body to lose more fat through thermogenesis and exercise, as well as having an appetite suppressing effect. White kidney bean extract controls the conversion of starch into sugar to reduce a number of calories absorbed by the body, and bee pollen helps to eliminate reserves of body fat through lecithin which acts as a fat metabolizer. Customer feedback is incredibly bad for Slim Tone Plus. The patches are said to be ineffective and potentially dangerous, and apart from the official website where consumers report weight loss of around 5kg in two weeks, there are few positive reviews of the diet supplements. The damming negative feedback surrounding Slim Tone Plus concerns its unscrupulous use of its so-called ‘free trial,’ which in fact isn’t free, and is a clear scam. Before you can even find out the price and apply for a free trial you have to sign up with your credit card details and if you don’t cancel the trial within 30 days of placing the initial order you will be charged £75. There are plenty of people online who have fallen victim to this, claiming they are unable to contact the company or have been told they are too late to cancel and have been charged £75. This process would be illegal in the US and breaches a number of UK consumer protection laws. Natural diet pills with some quality ingredients known to affect weight loss. Potential scam, free trial hard to cancel and leads to a monthly auto ship option. Cannot buy the pills on their own, have to buy patches as well. No clinical proof of effectiveness & expensive. No manufacturers address, only an email and 0845 number. Marketed using fake websites pretending to be media and news sites. Patches can cause irritation and injury. Is Slim Tone Plus worth buying? The dubious marketing techniques used to sell Slim Tone Plus casts enormous doubt on the credibility of this product as a bona fide diet supplement. Until these issues are rectified by the manufacturer, and more evidence of effectiveness and ingredients are supplied, especially with regard to the obligatory patches which come with each order, consumers should approach this product with caution. There are plenty of other fat burners and appetite suppressants which come with clinical proof of their effectiveness and don’t rely on scams to get you to part with your money. 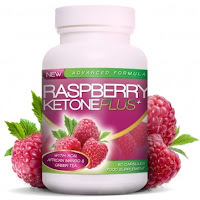 One of the best diet pills we have reviewed in recent months is Raspberry Ketone Plus – a natural diet supplement which uses red raspberries. Raspberry Ketone Plus has been clinically proven to help burn more calories per day, with some studies showing it can burn as many calories as 30 minutes worth of swimming. Unlike Slim Tone Plus, customer feedback is very positive with lots of praise coming from leading UK newspapers.